I am looking for some help or suggestions regarding my 1998 Sebring jxi convertible. I have been working on my A/C for over 2 months now. I can only achieve 60-65F while driving and 70F while idle (at center vent). Ambient temp is 90-95 some times a little hotter. If temp is at or above 90, the best i can get is 65-70F at the vent. If Ambient 80-85 I can get down to 50-55F depending on humidity. Let me give you a brief summary of what I did so I can get the best educated course of action. 1. I live in Alabama "HOT", bought car in October 2010, A/C worked so so, given it was only in upper 70's maybe 80 most days. 2. I checked this spring and realized pressures where low and compressor was not cycling correctly. Added (134a) and compressor began making noise and within a few days freon was all gone. I later found a leaky LOW side core valve. So I decided to give it a overhaul without wasting more money on refrigerant. 3. I bought a new compressor, expansion valve and receiver drier. I disassembled entire system except evaporator and condenser. I flushed all lines with A/C flush from advance auto, along with evaporator and condenser. I followed this with dry filtered air. 4. I replaced all O-rings and seals. 5. Installed compressor with proper amount of oil, (5 oz PAG 100). I even let it sit on table, pulley facing down to lubricate shaft seal, and rotate a few times as per compressor instructions. 6. I added 2-3oz PAG 100 to drier, I used a little in the cap to lube all the new o-rings. I had new 8oz bottle. 7. Vacuumed to (-29.9inhg) or -1 bar on low side gauge, needle was bottomed out for 2+ hrs. 8. Closed both low and high side port and shut off vacuum pump. Vacuum didn't not move in 30mins So I assumed no leak an started with charging. 9. Charging I bleed yellow line after connecting can R134a to make sure no air. 10.Began filling with A/C on high (recycle mode). I added two 12oz cans of 134a only, "national" brand, no additives. System calls for 1.75 Lbs. or28oz. My pressure seemed OK at 45 LOW and 250High. Remember it is 94 degrees out. I was only getting 68-70F at vent. 11. I took car for a ride to get more 134a and noticed that while cruising I dropped 8-10 degrees (vent at 60F). I added a3oz bottle of Quick Boost EZ chill 134a combo, when I got home and no help. I checked radiator cooling fan relays and fan is working properly. Always on with A/C on and kicks into high when engine warms up "roaring" sound, even with fan on high no change in vent temp. Car has single fan with High and low speeds controlled by relays (fan only covers left half of radiator and condenser, other half has rubber flaps that open with air flow while moving. 12. Went ahead a flushed system again and changed out condenser with a brand new one, a long with a new drier. Followed vacuum and charge procedure as described above except I let it sit with vacuum pump for 3.5 hrs just to make sure no moisture. Same results. Vent 68-70F, and 60F while driving 35mph or higher. Is this the best I can expect or should I add a cheap race fan to condenser. I don't think evaporator is bad it does not smell or leak and water drips fine out of drain. With or without top down? Without top down, windows up. 95-100F is pretty hot when you sit in traffic with top down Sun Blazing. I wouldn't mind if I had 40-45 degree air blowing on me, but 70 is a little warm! Pressures suggest it could be cooling fairly well. Does the suction line get cold? Clamp off the heater hoses to be sure there's no reheating. Suction Line is not cold like it should be, it is cool and usually wet with condensation. Heater hoses going to the blower box? Didn't think of that, Fairly new to this, I did not want to disassemble the entire dash to get at evaporator box but looks like here goes. Thanks I will post findings, or maybe a question or 2. I just clamped both heater hoses at firewall just before heater core clamps. No change in temp 63F with outside temp 89F. Climate control seems to be working OK. As soon as I go 1 click to warm the temp climbs and I can hear a change in air flow. I will have to investigate further tomorrow. I will disassemble the dash and make sure all cables are working fully and not stretched. If I have to I will recover again and take the entire evaporator out and check all air ducts. Thanks again for your time and pointing me in a direction. Nothing is ever easy! Have you tried watering down the condenser and checking the change in pressures and vent temperatures? Where were the parts for this repair sourced from? Also, when clamping off the heater hoses, did you allow at least 15 minutes before retesting, for the heater core to fully cool? I let it run for about 10 mins, The car was already cool it was sitting for 6+hrs. I will try again with longer time. I bought the parts at advance auto, "Factory air" compressor, expansion valve, and drier. I ordered the condenser from "Radiator Classic". It came sealed and under vacuum, I heard the pop when I removed the rubber plugs on inlet and outlet. You are correct it is a "block type" automatic expansion valve and it mounts directly on the evaporator at the firewall via 2 torques head bolts. Also I did notice it seems a little cooler when i go to the car wash. I will try a few suggestions and get back to you. OK if I spray condenser with water pressure drops. high pressure drops enough to kick the fan off. so I went to expansion valve. I filled a spray bottle with ICE and a little water and sprayed the side of expansion valve with big head dial and pressure did not move. I then gave quick pulses with a small heat gun to expansion valve and nothing. Needles did not even flinch. IS ICE water good enough? I guess I got a bum expansion valve. I wonder if they will honor the drier as well since I will have to take it apart again. I will let you know after expansion valve is changed. Well I just changed out expansion valve and reciever drier with a brand new one under warranty. And yes I have the same result 65F while idle and 55-60*F while driving. After it rained today the temp outside dropped to about 80F and I reached 50F while driving but stays at 60F while not moving. Also the temp rises with with increased blower speed, about 5 degrees higher on setting 3 and 4 than on 1 and 2 so I will check the evaporator box for reheating of some kind. I should just say hell with it, it is a 15 yr old car but, I essentially have a brand new A/C system and the car looks and runs great. I am determined to get this cooling in the 40's. Again thank you all for your suggestions. I don't agree with just saying the hell with it. It should work. I'm not comfortable with where the parts were sourced. I would rest easier if they were from the site sponsor, or OEM from a Chrysler dealer - especially the TXV. You could have a universal TXV. No good in my opinion. Just to check/confirm a few things. - Why did you only charge 24 oz when the system calls for 28 oz? You probably lost 1-2 oz switching cans as well. You may even want to go above 28 oz, in the event of post production parts changes. - At it's best vent temperatures, is compressor running continuously and NOT cycling? 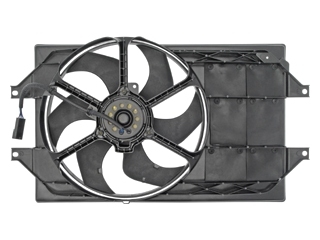 - Is the exterior of the evaporator core clean? If the coils are dirty and blocked with debris, you're not going to get good heat transfer (this would also increase the cycling rate). - What kind of temperature drop are you getting across the condenser? Do you have an IR or thermocouple thermometer to check the inlet and outlet temperatures? I'm curious how much sub-cooling there actually is. Also record pressures if you get the temperatures. Ditto for the evaporator inlet and outlet temperature, to check super-heat. Thanks Joe I appreciate your support. I do have an IR thermometer I will get you the temps tomorrow morning. I have put the full amount in this time using a scale with same result. When driving on the highway I am dropping to about 55-60 depending on speed. I removed the glove box and took the evaporator probe out and cleaned with hot water, looking through the hole the bottom 3 inches or so of the evaporator looks clean. I am going to buy some evaporator cleaning foam or spray. Between the probe hole and the recirc vent I think I can clean it pretty good. It is worth a shot before taking the whole HVAC unit out. The compressor never cycles off while car is idling at best vent temps. I am pretty certain all the electronics are working properly the compressor came with a new High cut out switch, and the whole system is controlled by the PCM which was new last year. according to the service manual the check engine light should come on if anything is malfunctioning which it is not. The evaporator never gets cold enough to cycle compressor off. Shouldn't the evaporator get cold even if air is not blowing across it because it is dirty? I don't think the suction line at evap is getting cold enough, seems cool but not cold. I will get actual temps for you in the morning after it warms up. If we can be certain I have a poor quality TXV I will be glad to order one I just don't want to waste more money. I will start by getting as much info as I can. Thanks again for the support, I will post total analysis in the morning. higher than specified, system is overcharged. OK here is some data! Started and ran A/C on high(fan 4, recirc mode) 20 mins and recorded following data. All temp readings were recorded with a FLUKE 65 Infrared Thermometer on aluminum lines at specific locations. Did you drain the oil form the new compressor before adding the 5 ounces? yes! I did this twice 1st on compressor install and then again on condenser install, disassembled all lines and flushed each time. Is it possible I am not cooling enough through the condenser. I noticed the service manual has some models with 2 fans mine only has a single fan with low and high settings. Spray some water on the condenser and see if pressures and temps drop. I will let you know about pressures, but I do know that if i spray a hose on condenser through the grill the vents get cooler, and the pressure drops(I Assume) enough to shut the fan off momentarily and about 5-10 seconds after removing water fan comes back on. Let's look at what these additional numbers mean. Your pressure readings of 50/235 PSI translates into 53.98/141.80 F for R-134a. Your condenser inlet temperature is 145-147 F which might ever so slightly indicate an undercharge. What I don't seem to be seeing enough of is subcooling - only a 22/23 F drop. At the same time, 65 F on the evaporator outlet with 50 PSI translates into 53.98 F - or 11.02 F superheat. Don't take this the wrong way - trying to cover all the bases- but is the condenser plumbed correctly? The discharge line from the compressor shoud feed to the top of the coil, and the liquid line should come of the bottom of the coil. Your symptoms are eerily similar to an improperly plumbed condenser - easy to do if the fittings are the same size as is the case with some vehicles. The fact the hosing down the condenser lowers pressures as much as you desribe seems to point to this. What kind of vent temps do you get when the condenser is hosed for a while? Condenser plumbing is correct. Different size tubing. I hosed down for 15-20 minutes. fan shut off compressor stayed cycling, and vent temp went from 60F to 55F and went to 50F when I drove around the block, and settled at 55F when I stopped and let idle in the drive way. I may be under charged slightly from taking gauges on and off the past 2 days, and bleeding along with a slight bleed to make sure no air was in the lines. Also not offended, appreciate the help! Bypass the low pressure cut-out or hot wire the clutch so the compressor runs continuously. Hook up your gauges, get a thermometer in the center vent, and note the ambient temperature. Run the engine at 2,000 RPM and keep the condenser watered down continuously. What are the pressures and what kind of vent temperatures are there under these conditions? Can 35-40 F or lower vent temperatures be obtained? Are the fans rotating properly, pulling air in? Are the radiator find clear? (Blocked radiator fins will result in poor airflow for the condenser). Is the coolant temperature normal? I'm still not sure on the TXV. Clearly there seems to be too much superheat. Whether that's from insufficient subcooling at the condenser or insufficient refrigerant in the evaporator doesn't appear to be clear at this point.